We were invited to a potlatch party about ten days before Christmas. I considered the casserole I’d bring. But there were other things to think about before then. In our house food deliberations take the lowest rung of the ladder and hang there till the last possible minute. Meanwhile, the No. 1 priority was my current writing course, mending some clothes for Hubby, and completing two reviews by the 31st. The morning of the party I clutched the casserole script, (some of you’d call it a recipe) plucking it out of the drawer the way a starved raccoon might claw a morsel of food. It read: mix this, mix that. Beat this…fold into. Problem: no actual quantities were indicated, only ratios. I gathered each tablespoon of flour needed its quarter cup of milk. Beyond that ??? I assembled the ingredients and baked them with less than an hour to spare before party time. The final note on the script said, “Bake in 350-degree oven, I guess, for about 45 minutes or more.” (I loved that “I guess”.) I’d used organic eggs, “real” sea salt, unbleached flour, and NGM corn. Mother called it “corn pudding," I called it corn casserole. So no one died that night or the day after the party, but I knew my casserole was a bit “off.” It seemed to need more of something, less of something else, and a LOT MORE COOKING time. Hang in with me, fellow writers. I made the casserole, this time avoiding putting frozen corn directly into the oven; I used much more milk and I baked it until the egg was done. It resembled a pudding! Well, (you could work this out for yourselves, Dear Writers. But OK I’ll spell it out): I thought if I didn’t get the essay right the first time, maybe I could transfer some learned casserole skills. If I could get myself to re-do it, it might come out better the second time. It might need a little more dialogue (that would be the flour), it could use more real emotion (yup, you got it, that’s the corn, genuine, not modified), it could be allowed to sit awhile before sending it out (yes, more time in the oven). And then, maybe, it could be enjoyed by myself and a few other people. OK, so keep them casseroles comin’!!!!! 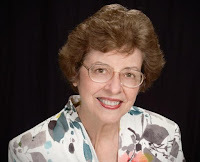 Carole Mertz began writing 10 years ago and has followed WOW! Women on Writing ever since. Her essays are here and there in the literary world: at ARC, CutBank, Dreamers Creative Writing, Eclectica, MER, Quill & Parchment, South 85 Journal, Working Writer, Writing in a Woman’s Voice, WPWT, etc. She lives with her husband in Parma, Ohio, where she teaches piano to young children. Carole--First of all, you made me hunger for a serving of your corn casserole. Secondly, it reminded me of all the components found in a well crafted essay, short story or novel. Very few recipes are mixed up and instantly ready to eat. Even my five-minute fudge needs time to set. Writing a first draft, then letting it marinate, then revising and editing... It all takes time. Thanks for writing this post, Carole, and good luck with your future writing endeavors. Oh I loved this correlation! With my short stories they tend to come out like undercooked chicken - do not eat until put back in the oven for more time, basically. Ha, you know and when we go back and rewrite and retry, our skills and writing muscles are so much stronger! Nicole--Your undercooked chicken comment made me laugh. I have an earlier manuscript that made more people hurl than raw, spoiled chicken. It was foul! Oh my goodness! I didn't know all of you responded. (And here, my casserole was cooking all the while!) Thank you Sioux, Angela, and Nicole for making me feel the piece had some value. My analogies were fun to write, though they were a bit overdone.